I strive to use metal as a tool for artistic expression. My inspiration comes in a variety of forms, but I find that whatever the muse, there is always a strong connectivity in theme. I aim to visually represent my internal relationship with self, and within intimate relationships. The way these concepts become drawn out in the metal is very much parallel to the nature inspired pieces, following shapes of roots and branches. I overlay human experience with the world of nature. 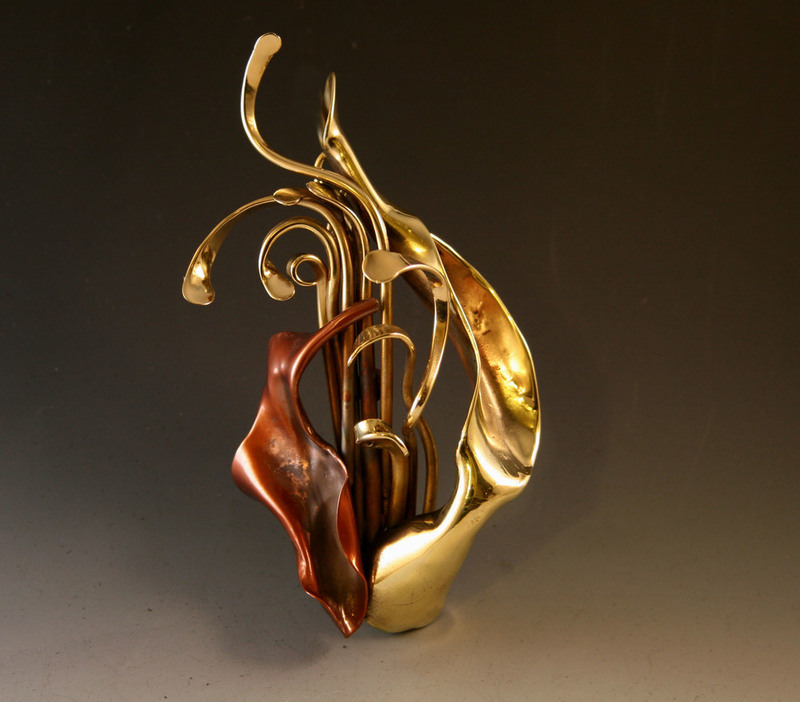 This broad theme allows me to stay inspired and creative in my chosen medium of bronze, copper, sterling silver, and steel. Each piece is hand fabricated by cutting, hot and cold forming, welding, forging, polishing, and finishing with a heat patina. 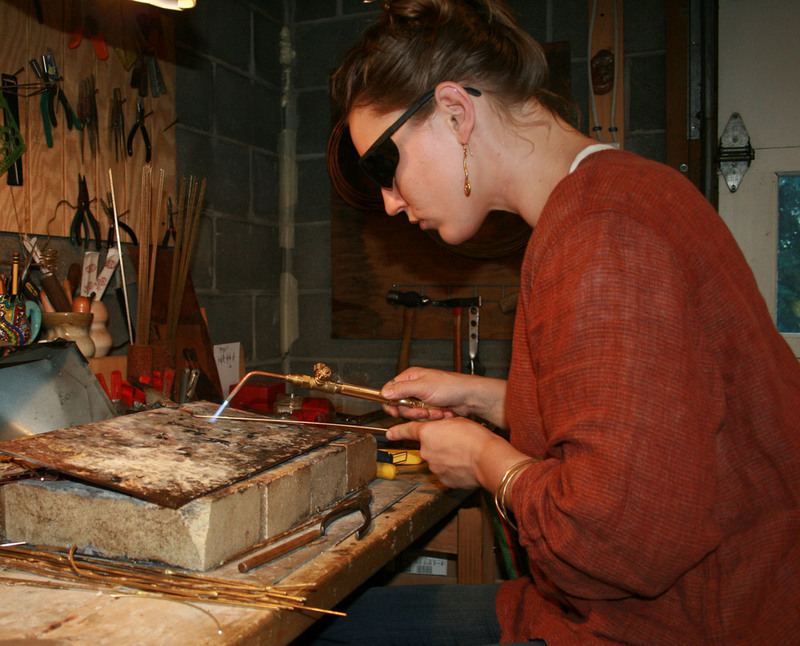 I have been making sculpture and jewelry since undergraduate school at Frostburg State University in 2010. Metalworking continues to interest me, and I constantly have images of new design flashing through my mind. Craft shows are my favorite outlet for sale because of their very interactive format.